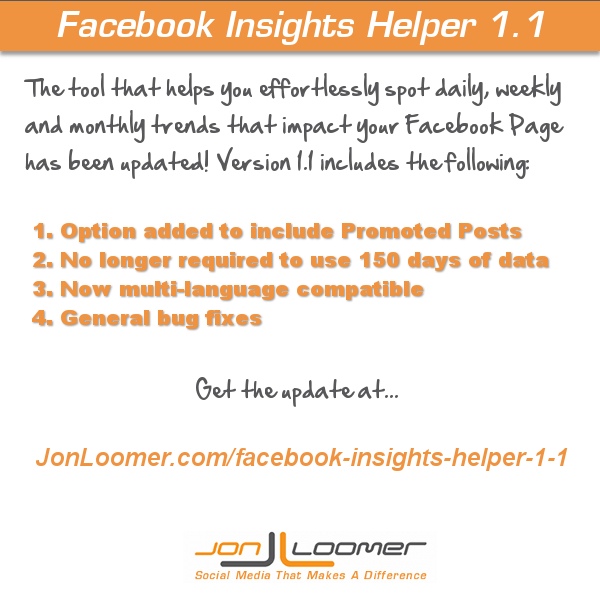 A tool that helps you effortlessly analyze daily, weekly and monthly trends that impact your Facebook Page has been updated! 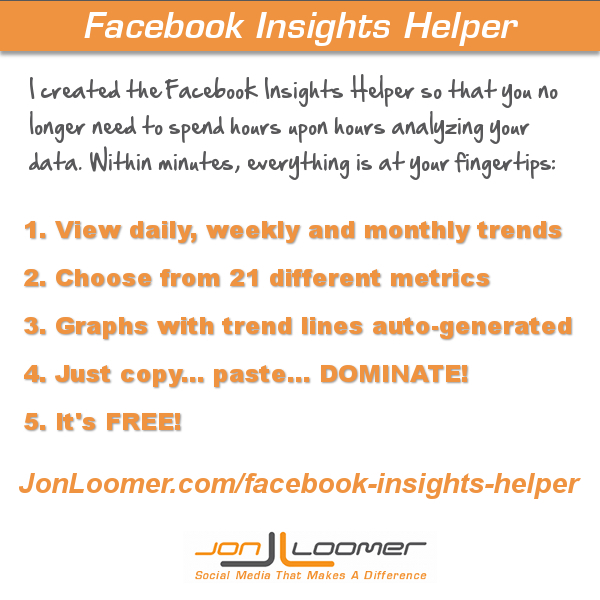 Use this spreadsheet to easily view daily, weekly and monthly trends of 21 different metrics for your Facebook Page. Using Insights was never easier!